My blades, but not blade holder (also known as “blade tool”) arrived! I bought them from different sellers on eBay. If you’ve priced the cost of blades for the Silhouette machines, you know that they are pricey and sometimes you get one from a bad batch. 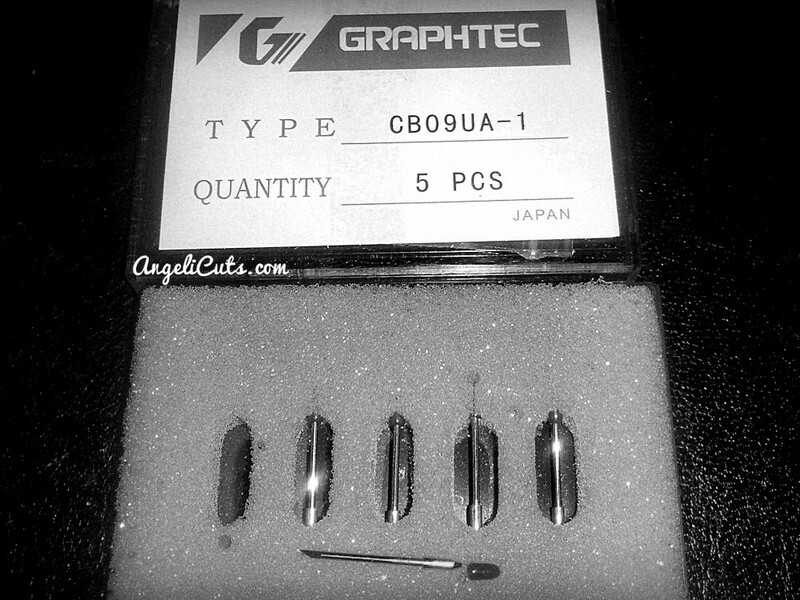 So I looked to 3rd party alternatives and the Graphtec CB09 blade holder came up. I bought one for $25 with 3 blades included and a 5pc blade set for $10 from another seller. Free shipping on both. I haven’t gotten the chance to use the blades yet, but I do know that blade adjustment is fully manual. It does not have a convenient ratchet system, but that’s industry standard. By being manually adjusted, it gives you more control over how much blade is exposed. If you check out eBay, you will notice that they offer 30°, 45°, and 60° blades. Both black and blue Silhouette blade holders have 45° blades. It has middle-of-the-road capabilities like it will last longer than a 60 because you’re using more surface area of the blade to cut with, but it will not cut intricate designs, vinyl, and thicker material as well as the 60. The 30° blade is meant for large designs and also fabric, which I regret not knowing before I purchased my blades because I would have gotten the sample pack that has all three types. I’m very interested in cutting fabric with my Portrait but I haven’t done it yet. I don’t want to hurt my machine! 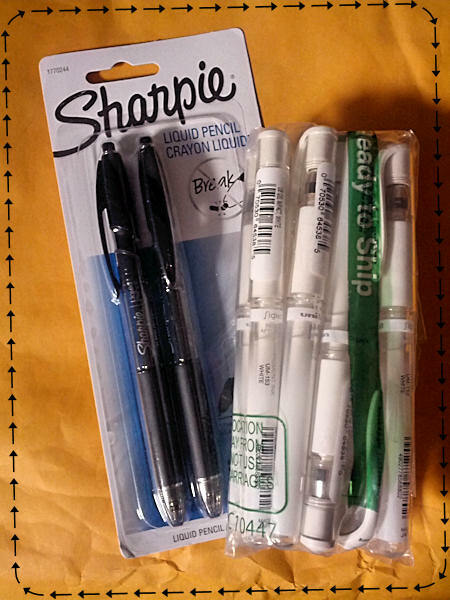 Look What Came In The Mail: Pens! I’ve only done a quick test with each of the pens so far, but I was surprised by how wet the Uni-ball was and how dry the Sharpie was. 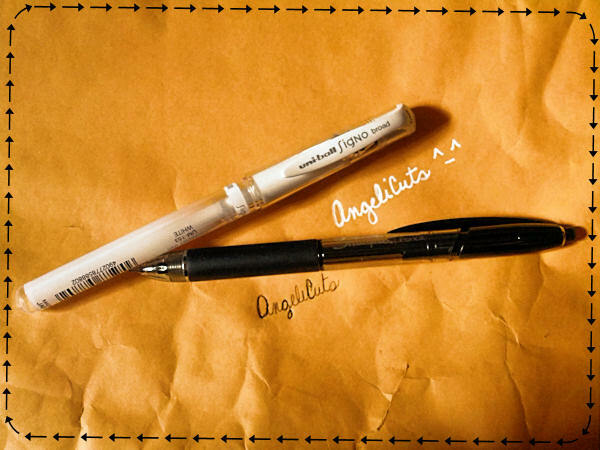 The Uni-ball was great–the Sharpie, not so much. I’m hoping that I just need to get it going and it will work out making sketches with.